Today we’ll be implementing an S3 bucket policy for storing multiple Elastic Load Balancer access logs on a single S3 bucket. Instead of having multiple S3 bucket for each ELB access logs, we’ll create only one S3 bucket for storing all ELB’s access logs. 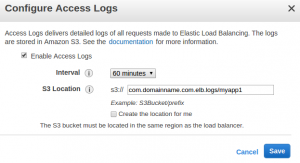 This section walks you through the step by step guide for configuring S3 bucket for storing ELB logs. 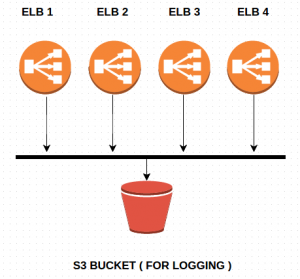 Let’s create an S3 bucket for storing our ELB logs. Let’s create few folder inside our S3 bucket. e.g. myapp1, myapp2, myapp3 for storing respective elb access logs. Step2: Attach a bucket policy to the S3 bucket. You can use below bucket policy for this purpose. You have to change certain parameters on this policy like “account number, bucket name , folder name” as per your setup. Similarly you can define multiple prefix for multiple application. This will ask you for your S3 Bucket location with prefix. Similarly for another ELB you can enable access log and use myapp2 folder. 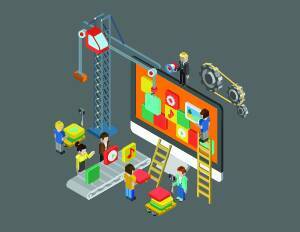 Great Article, Only suggestion is that make sure that you do it from a single browser. I had s3 console open in one browser and ec2 console open in another browser and errors were being thrown. I cannot thank you enough for the blog article.Really thank you! IAM Role based access to S3 bucket.